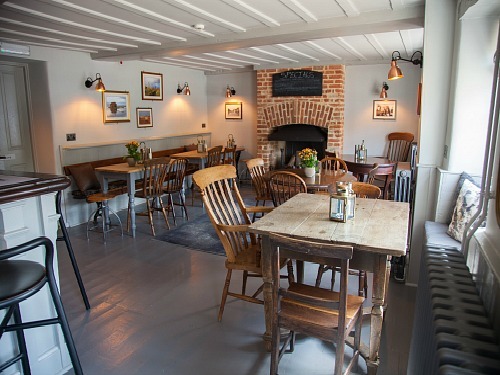 The Chequers Inn in Thornham, North Norfolk is one of those pubs with accommodation that fulfils its expectations; excellent quality, great team, relaxed, dog friendly and has a very welcoming atmosphere. This particular part of North Norfolk exudes up-market quality but that doesn’t always mean that it has to be beyond the reach of anyone in particular. And this is where The Chequers Inn comes to the fore. 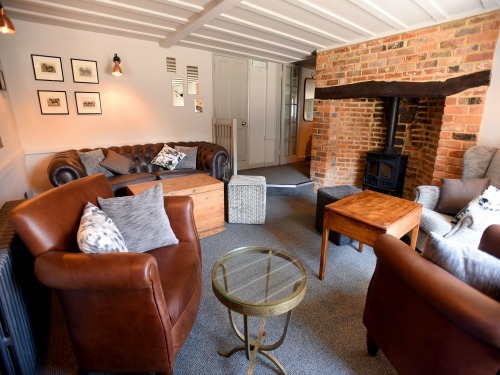 With its lovely wooden floor in the modern bar area, to the snug with its roaring fires in the winter months, this is a totally stress-free place for you to come and stay. With high standards to keep up on the North Norfolk Coast, this pub doesn’t disappoint. The Chequers is situated right in the middle of one of the pretty North Norfolk villages that epitomises our wonderful coastline. 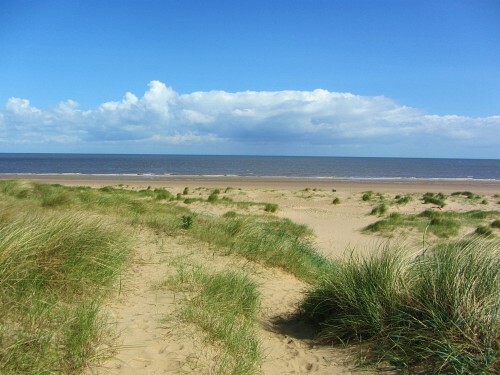 The nearest town is Hunstanton, and with beaches such as Old Hunstanton, Brancaster and the lesser known and quieter beaches of Holme and Thornham, this is the perfect place to base yourself to explore North Norfolk. 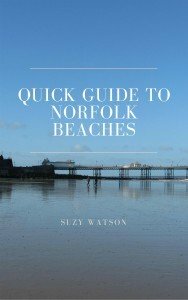 It’s also an excellent area for walking stretches of the Norfolk Coast Path, as well as being near to some of the best bird watching in the UK. NWT Holme Nature Reserve and RSPB Titchwell are extremely close by. And with the splendid stately homes such as Sandringham House, Holkham Hall and Houghton Hall a short drive away, there’s so much to keep you occupied. 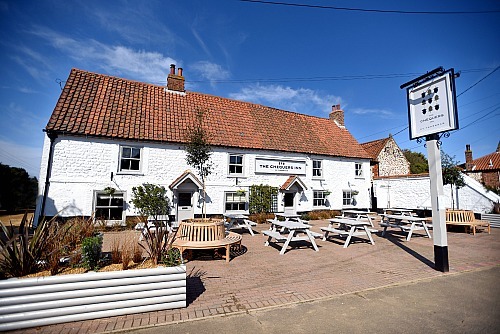 The Chequers Inn is a complete contrast to its sister pub, The Lifeboat Inn, a 16th Century smugglers inn and also located in Thornham. there is no carved oak bar, but a new and welcoming modern bar (easy to order from!). there are no old oak doors, but you do have high quality heavyweight new doors (allowing you peace and privacy in your room). old pine top tables inviting you to relax and enjoy yourself. it doesn’t have the rustic originality that the Lifeboat Inn has, but it certainly has a stylish, relaxed and wonderfully cosy appeal. 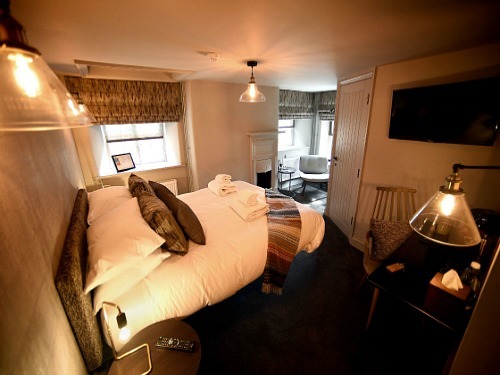 You can find out more about the rates and the rooms at The Chequers Inn here. 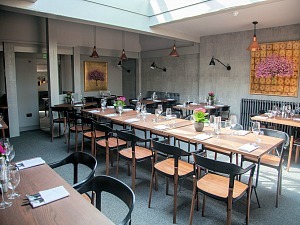 After a day out exploring the countryside, why not come back for a well-deserved drink in the bar, or just relax on the comfortable armchairs in the snug. And if it’s colder weather, both will have lovely roaring fires to entice you in! It’s a little bit like walking into someone’s home with its wood burning fires and old brick fireplaces, a very comforting feeling. 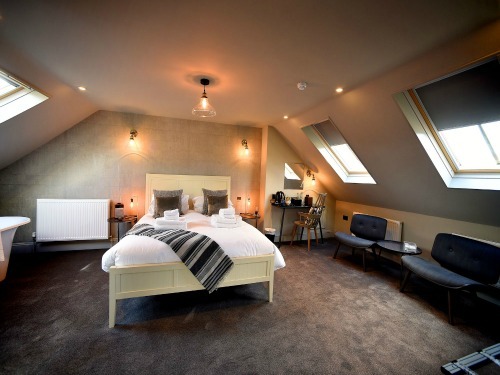 The Chequers Inn has 11 dog friendly luxurious rooms, all completely different and quirky. The way the rooms are graded makes it very easy for you to choose which one you’d like; from Small Good, to Good, Better and Best. The photos below are of a Best room and a Small Good room, so you can see that even the small room isn’t that small! 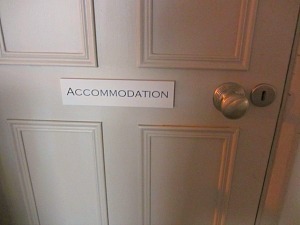 With lovely fluffy duvets and pillows to sloe gin and homemade biscuits waiting for you on arrival. Everything feels luxury the minute you walk in the door. All have smart TV’s, Bluetooth and Spotify Connect (if you’re into music!). And here you have the use of bathrobes, which definitely puts the accommodation at The Chequers firmly into the “Luxury” category. If you fancy a bath, all the “Best” rooms have freestanding baths as well as showers. And as with The Lifeboat Inn, sausages are on the breakfast menu for your pet! They’ll get fat if you’re not careful, but a quick stroll to the marshes and Norfolk Coast Path will soon have them running off any excess breakfast they’ve been allowed! As with all places where you eat, the restaurant here does not allow dogs. 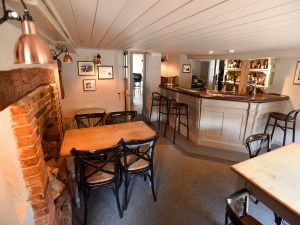 But there is ample room in the bar areas or the snug for you to bring your dog. It’s always advisable, if you are wanting to eat with your dog, to book a table in advance, especially in the summer months when the North Norfolk coast can get very busy. And as you would expect, the chef sources as much local food as is practicably possible. And finally you can book a Pavilon! I love the idea of these Pavilions – I suppose you’d describe them as pods. Both The Lifeboat Inn and The Chequers Inn have these eating options. Here there are 2 pavilions in the outdoor eating and drinking area of the pub. These are a fabulous idea and great for a group of friends. One holds 14, the other 10. If it’s cold you can put the sides down, but they do also have heating in the roof. And for those music lovers, it has Bluetooth so means you can play your own playlist. 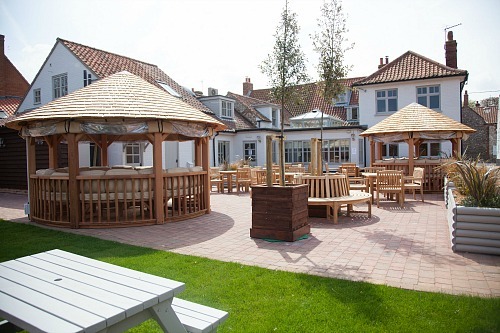 Having been recently refurbished, this pub really is a top notch place to come and stay on the North Norfolk Coast. If you're looking for somewhere that is dog friendly, close to the coastline, serves excellent food and is smart and relaxing at the same time, then I would say this is a good choice.